Why not add a little bit more to the presentation of your medal by purchasing one of our medal boxes. With a wide range of designs and sizes, we're sure to have what you're looking for. 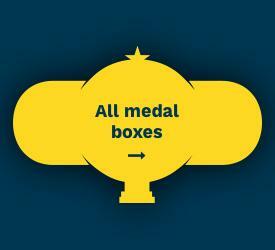 Browse our range of Medal Boxes below.